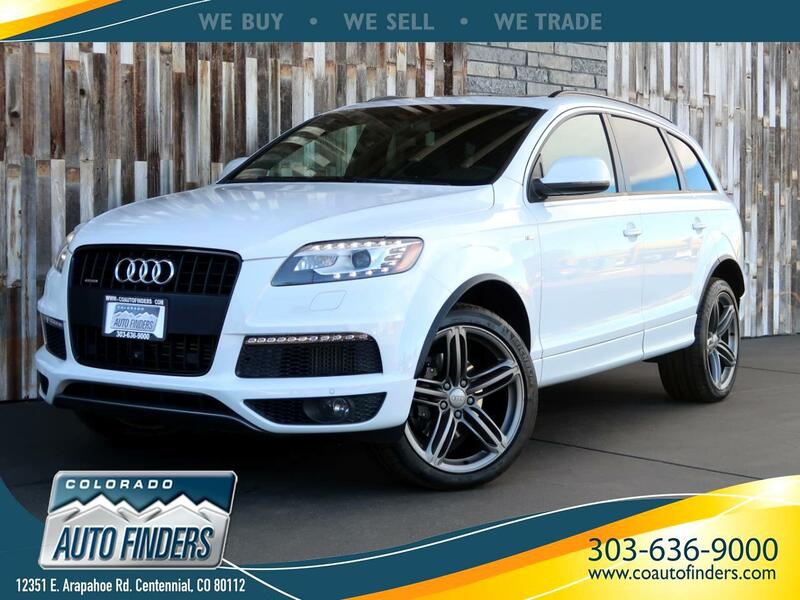 This White 2015 Audi Q7 S line 3.0L TDI Prestige is for sale in Centennial/Denver. This car comes with ALL-WHEEL DRIVE, a V6 Engine & all the GREAT features you'd expect, such as Navigation, Back-Up Camera, Surround View System, FULL length Panoramic Roof, Bluetooth, Heated Front AND Rear Seats, Heated Mirrors, MP3 Compatible Stereo, Satellite Radio, and Power Locks/Mirrors/Windows/Steering/Brakes/Seats. Other options include Automatic Headlights, Climate Control, Fog Lamps & Steering Wheel Controls! Call us today or stop by to see this beautiful car for yourself. Colorado Auto Finders will help you get financed and we will answer any questions you may have!